Trusted by ClickBank and 98,045 other membership sites worldwide. I really love WishList Member. I’m starting to use it across the board on everything from my Micro Continuity Niche sites to my major projects like Success Etc. It’s extremely stable and the tight integration with ClickBank is amazing. Using the two together is a complete slam dunk in my book. Try it risk-free with our 60-day guarantee. Quickly edit or create new membership levels. Integrate with Clickbank and other popular shopping cart providers. See more about what WishList Member can do for you. Take a tour of WishList Member! Whether you’re building a new site or integrating with an existing WordPress site, installing WishList Member is a breeze. Just unzip the file, upload, and activate! Seamlessly integrates with the most popular shopping cart systems, including ClickBank, and many more. Secure RSS feeds allow your members to view their membership material in their favorite RSS reader. But, it also gives you complete control – non-members can’t access the feed and if a person stops paying, their feed automatically stops working. When a person tries to access content they don’t have permission to view, they will be taken to an error page. Now you can determine what that page will be. This gives you the chance to encourage them to register or upgrade to a different membership level. WishList Member has a wide variety of additional features that expand the way you can use WordPress to build and grow your membership site. Plus, we’re always adding more based on suggestions from our customers. Integrates with and these autoresponders! Look who else is using WishList Member™! to make the setup process even easier! Step-by-step videos demonstrating all WLM features. You’ve probably noticed all the videos that we make available to the general public (see the bottom of this page). Well, we have even more! We’ve created even more video tutorials and instructions to help you setup your membership site! These videos cover the basics of getting started, but also provide some advanced tips and tricks for setting up the structure of your site. Over 100 pages of organized screenshots. We’ve also created a number of extensive support guides which will walk you screenshot-by-screenshot through each feature of WishList Member™. So if you don’t want to watch the step-by-step videos, you can quickly breeze through any of the support guides to quickly find the answers you need. There are 4 guides and over 100 pages, showing you every possible feature that WishList Member™ has to offer. Plus, each guide has a Table of Contents to make it quick and easy to find what you are looking for. This training series shows how WordPress can work for you. A collection of tutorials are available to walk you through the different options and settings of WordPress. This is an excellent way to learn about WordPress functionality in a quick and easy format. These videos teach lessons that can be applied to any WordPress powered site. Every new update FREE for an entire year. With your purchase today we’ll also include unlimited updates for an entire year. So as we continue to add new features to the WishList Member™ core, you’ll get them free of charge. And… updating your version of WishList Member™ is super easy. You just upload the new plugin and that’s it. No “deactivating” and no extra “tweaking” necessary (plus it automatically saves all your previous settings). And before you ask, YES we always stay current with every new version of WordPress that is released (smile). So if WordPress makes any updates that effect WishList Member™, we’ll make the appropriate changes and you’ll also get those updates absolutely free (after the 1 year period, updates are provided on a yearly basis for a nominal fee). Access to our support team whenever you need them. Lastly, it’s important that you know that we are here to support you. We have great pride in our support and our team is available M-F, 9am-5pm EST whenever you need us. So if the videos, support guides or extensive FAQ’s don’t answer your questions, just ask our team. During our support desk hours you’ll get a response from us within 24 hours. If you submit a ticket outside of those hours, you’ll hear from us the very next business day. We know getting your site up quickly is important to you – therefore it’s important to us too. That’s why we go to great lengths to make sure you’re able to get your site up smoothly. you’ll also get these additional bonuses! These bonus video interviews provide insight from some of the top membership site minds. We conducted in depth interviews with three industry leaders that focus on what goes into effective and successful membership sites. These exclusive sit down conversations will provide you with a glimpse into the thoughts and ideas of these experts. Find out more as we talk to Michael Hyatt, James Wedmore and Jeff Goins. Grab the attention of site visitors with these professional looking icons. We know that creating icons can sometimes be a difficult and time consuming task. So we have taken care of that for you. You will be able to immediately download 300+ icons. Browse through these available icons and select the ones that best fit your membership site. The choice is yours with this huge number of custom created icons. There are plenty of options with this pack of 1000+ membership icons. They have been custom drawn which gives them a unique look to stand out in a crowd. The large number of available icons means you are bound to find ones that are a perfect fit for your membership site. and WishList Member will help you do it quickly, easily and affordably. *If you have a WishList Member Single Site License it can be used on one (1) URL at a time. This means that each sub-folder, www, sub-domain, local hosts, etc. would be considered one URL. **The Multi-Site License may be used on an unlimited number of URLs owned by the license-holder. If you wish to purchase WishList Member™ for clients, please contact our support desk for information on our Commercial License. Try WishList Member for 60 days. If you don’t like it, we’ll refund every penny. Obviously, we think WishList Member is the best membership management system available. But, we’ll admit we’re a little biased. That’s why we invite you to try WishList Member for 60 days. If it doesn’t work like you had imagined, simply let us know and we’ll refund your full purchase price. No hard feelings. How does that sound? *CLICKBANK® is a registered trademark of Click Sales, Inc. and used by permission.WishList Products is not an authorized agent or representative of Click Sales, Inc. Click Sales, Inc. has not reviewed, approved or endorsed WishList Products, or any claim, statement or opinion made by WishList Products. **This site and the products and services offered on this site are not associated, affiliated, endorsed, or sponsored by WordPress, nor have they been reviewed tested or certified by WordPress. Answer: No. WishList Member™ (the software) is a one-time purchase. A WishList Member license comes with one year of support and updates. Each of our license options is a one time payment so if you do not need or want support or updates after the included support plan expires you do not have to purchase anything. There are Support Plan options that can be purchased for additional years of support and updates if you choose to at any time. Answer: The latest versions of WishList Member™ require that PHP 5.2+ (PHP 5.4+ recommended), MySQL 5.0+ (MySQL 5.5+ recommended) and Apache 2 (with mod_rewrite enabled) be installed on the server and have been developed for optimal use with WordPress 4.0 or higher. We also recommend to avoid cheap shared hosting environments as much as possible as they can lead to potential issues on sites with large numbers of members (500+). How many membership levels can I have with WishList Member™? Answer: Unlimited. WishList Member™ was created to be as flexible as possible, so there are no limits in terms of the number of Membership Levels that can be created. 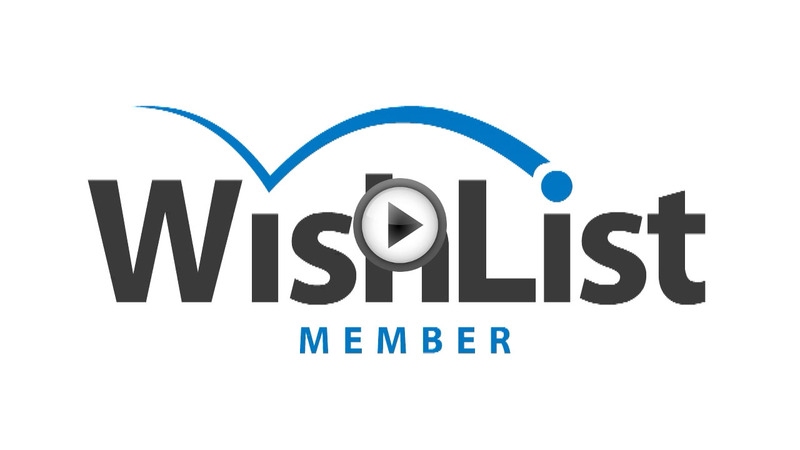 Which AutoResponders can be integrated with WishList Member™? Answer: Yes. WishList Member™ includes an API and a set of WordPress-style functions you can use to work with the WishList Member code. The API lets you connect to and interact with WishList Member using an external (outside of WordPress) script that you write. The available WordPress-style functions let you connect to and interact with WishList Member inside of plugins and themes that you write (that will be installed in the same WordPress install as WishList Member). The documentation for both are available at: http://codex.wishlistproducts.com. Answer: Yes. There is an affiliate program for WishList Products. You can learn more and sign up for the affiliate program using the following link: http://wishlistproducts.com/affiliates. Answer: How do I contact support if I have further questions? Answer: Our dedicated support team can be reached directly by going to: http://support.wishlistproducts.com If you have questions about WishList Member™ that aren’t addressed here, feel free to submit a ticket and we will be happy to help. Sites being powered by WishList Member™! Training, resources, and support for membership site owners. © 2017 Membership Software – WordPress Membership Plugin – Membership Sites. All Rights Reserved.